Whether you're shipping across the continent or just over state lines, Expedited Freight Carriers has your back. 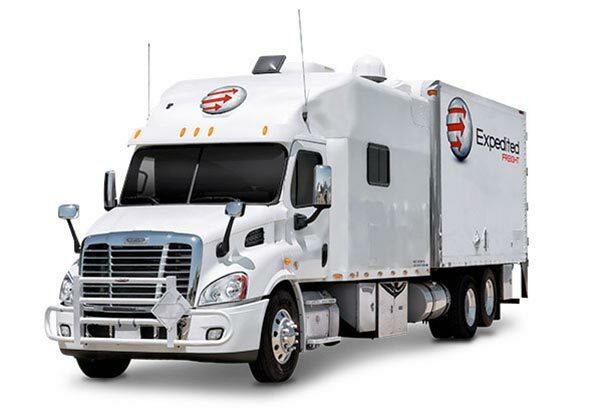 As a rapid delivery service with both ground and air expertise, ExpeditedFreightCarriers.com is perfectly suited to handle every variety of shipment. Between our swift freight vehicles, our qualified drivers, and our close relationships with cargo airlines, we can complete deliveries over any distance at a moment’s notice. Whenever you’re in a shipping jam, you can trust us to get you out of it. No company should limit their shipping to standard services. While traditional trucking and scheduled air freight meet your needs most of the time, there are some situations where these options come up short. Say a client places an unreasonable delivery request but offers the pay to make it worthwhile? You’ll need expedited freight carriers to take advantage of this opportunity and maintain your relationship with that client. ExpeditedFreightCarriers.com helps you make the most of such opportunities. We offer expedited freight shipments for clients in all major industries, having worked with manufacturers, construction companies, and firms in countless other fields. For deliveries that have to cross long distances overnight, we can coordinate air charters. For those that are closer to the destination or have longer deadlines, we offer safe, efficient trucking in vehicles that fit your order size precisely. Whatever the nature of the delivery, we know how to ship your goods on time and in pristine condition. Each of our vehicles is subject to regular inspections, repairs, and upgrades. We also track them throughout their journey, allowing us to update you on their progress and take quick action to ensure speedy, safe shipping. We provide the same devotion during air shipments, maintaining close contact with cargo airlines and tracking your orders en route. For more information or to obtain a free quote, contact ExpeditedFreightCarriers.com today at (800) 713-1000.